Vivier is a Canadian company with a pharmaceutical approach to skin care products. For this reason the quality, purity and effectiveness of the products are superior to those found in drug stores and high end department stores. The use of pharmaceutical grade ingredients within the products provides skincare solutions for the treatment, maintenance and protection of the skin. The Vivier brand has been developed specifically for medical aesthetic practices and is administered by physicians worldwide as a complement to in-office procedures. Because, just like brushing our teeth to maintain the benefits of procedures at our dental office, it is imperative to follow up medical aesthetic procedures, like Botox and fillers, with effective skin care at home. VivierSkin is quite simply the world’s #1 topical Vitamin C line. VivierSkin is the only medical skincare brand that combines the powerful benefits of the world’s #1 patented Vitamin C serums (L-Ascorbic Acid USP) with pharmaceutical grade cleansers, toners, eye therapy products, moisturizers, advanced sun protection products, body care and complete skin care systems. As a powerful antioxidant, Vitamin C helps to correct and fight aging skin by acting as a free-radical scavenger, collecting and neutralizing the oxidizing particles within the skin that contribute to uneven, dull skin and wrinkles. 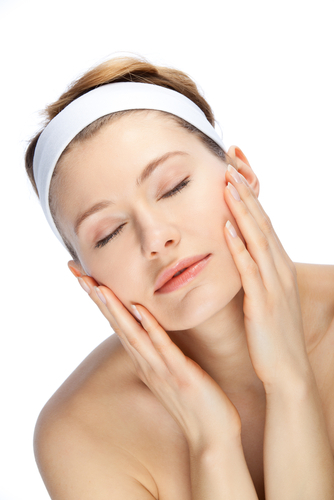 In addition Vitamin C has the ability to help repair skin by restoring collagen. Not all Vitamin C is created equal. When it comes to Vitamin C it is necessary to ensure that the product has the ability to work within the skin in order to see results. 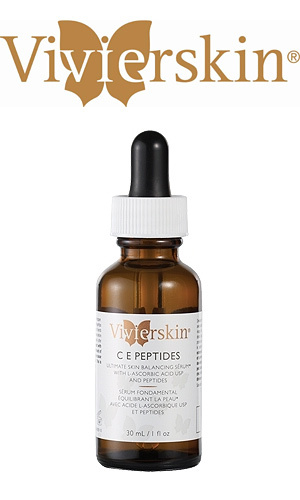 VivierSkin’s patented Vitamin C serums are unique in their chemical form, stability and penetration. They contain only L-Ascorbic Acid USP. They are formulated using the highest grade of Vitamin C available and are USP. “USP” stands for United States Pharmacopeia and is a pharmaceutical standard recognized for quality, purity, strength and consistency. Using a patented encapsulation of the Vitamin C called I.D.S. the VivierSkin serums also ensure stability and penetration. As Vitamin C oxidizes quickly in its natural state, the I.D.S. system prevents oxidization and results in a clear serum. Serums that are orange to brown in colour are an indication of oxidization and should not be used. I.D.S. also helps to ensure maximum penetration of the Vitamin C into the skin cells and has been proven in clinical studies to offer more penetration than even some of the leading Vitamin C serums. In order to simplify your at-home care, VivierSkin Vitamin C serums can be purchased in a system that includes the world’s #1 Vitamin C serum along with all the products necessary to deliver the results you are looking for. The system is not only more cost-effective but allows you to take home all the products you will need along with an easy-to-read instruction card for your morning and evening skin care regime. This all-in-one home care system is the ideal program for aging skin with visible fine lines and wrinkles, sagging skin and deepened expression lines. The Wrinkle Relief System contains six full-sized medical grade products that will help reverse signs of aging while protecting from additional environmental damage. 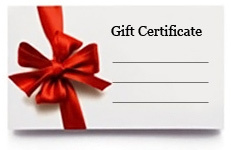 May be used alone or in combination with aesthetic procedures such as BOTOX® and wrinkle fillers.